Christmas oh how I love thee. The sounds of beautiful music that flows like a river through my excited soul and fills my senses with smells of evergreen, fireplaces burning oak and cinnamon wafting from the kitchen. So many Christmases have I experienced through my long journey. Some I was poor, some rich, some in stressful times, some in celebrating times. But, Christmas is above all that. It is a concept and although personal it is also universal in its message. All the things it is, the gifts, the family joining, the food, the decorations remind me what that message is. It lifts me and makes me a better person because everything connected with it serves to make me remember the child within and the child who changed the world. Yes, it’s marketing and yes for that reason it’s promoted early but you don’t have to buy gifts early or buy gifts at all. I like to wait until December but as a single mom there were years I so appreciated those early layaway options in early November. Not everyone can save early or have credit cards available. My little family sang Christmas songs earlier than anyone we knew and the gift discussions and anticipation was magical compared to the rest of the year of focusing on survival. They knew this holiday was a celebration of the birth of a savior and his message was to honor and love one another, to count your blessings and live with joy. He did not intend for us to just speak it but to do it. Gifts, even tiny ones, tells that person “you are loved, you are valued”. Sometimes the only gift you have is a comforting hug and that could be the best gift of all. So I say to all the complainers out there that believe it’s too commercial that really, it’s all in the focus of what you want from it. And the answer to that lies within you. This entry was posted in aging community, Disability, elderly, family, feminist, Holiday, short story, single mom, Society, women and tagged aging, christmas, community, inspiration, short story, surviving life, women issues. When I was a single mom still raising my four kids I took a job managing a 150 site KOA campground. It was on the Gulf Coast and hundreds of snowbirds would come down during winter months passing through to Florida. There were also campers from other countries touring America with their rental cars and tents. Once a week I would put on a potluck event which was a great opportunity to taste food prepared from different areas of the America as well as other countries. One of my kid’s favorite was a ratatouille casserole brought by a couple from the eastern seaboard. I learned to make it and served it often. I have not made it for years and when I tried to look up a similar recipe on the web there was none so I dug out my old notebook and decided to share with everyone. 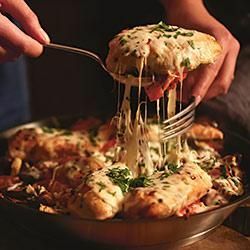 This recipe was always popular when I brought it at holiday time and it is a great way to use up any leftover cheeses you have in the refrigerator. When this starts baking the aroma is delicious. Any and all left over and new cheeses like Swiss, cheddar, parmesan, Monterey jack, asiago (literally any cheeses, the more diverse the better). In a large skillet with high sides or a deep Dutch oven place all the vegetables and seasonings together including the bottle of Italian Dressing. Bring to a boil then turn down to simmer and cover. Continue simmering until vegetables are caramelized and in a thick sauce. This takes an hour or so. When done turn off and set aside. Prepare a large enough baking dish with spray oil then start layering starting with the vegetable mixture just covering the bottom, then any of the cheeses mixed together, then a sprinkle of bread crumbs. Repeat the layers and finish with a light cover of the cheeses. Bake at 350 until cheese is golden brown on top. Let set for 15 mins before serving. This entry was posted in aging community, Camping, Holiday, Society and tagged camping, christmas, community, Food. It’s the Christmas season. So many people feel stressed or overwhelmed. It’s not really meant to be. It’s a time of family, love, traditions and friends. Even if you don’t have much,and there has been times when I didn’t, what it’s about is free. A time to stop and remember Jesus and what he taught us. I don’t hear people saying they hate birthdays because of the celebration. I personally love that it makes us stop and hug each other and appreciate the spiritual gifts in us all. This entry was posted in Society and tagged christmas.